Former President Obama’s so-called “Blacklisting” rule was short-lived. On Monday, President Trump signed a joint resolution eliminating the rule, which had required bidders on federal projects with a value in excess of $500K to report state and federal labor and safety violations within the past three years. 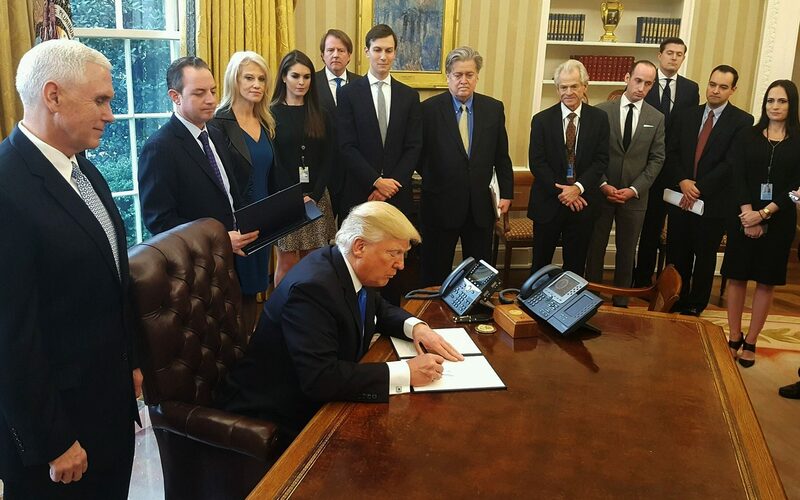 The Blacklisting rule, also known as the Fair Pay and Safe Workplaces Executive Order 13673, only went into effect in October 2016. Brubeck’s comments regarding the constitutionality of the rule is in reference to a federal district court’s earlier injunction of the rule. I don’t understand the alleged “job-killing” nature of the Blacklisting rule. Didn’t the rule simply transfer the opportunity to perform the work to a (potentially) slightly different basket of vendors? It seems like the work itself would not get less labor intensive. Good point Dave. As Melissa McCartney’s SNL Sean Spicer character would likely say, “those are his words, not mine!” Perhaps more accurately it’s a job competitiveness issue not a job elimination issue. Although, to run with the SNL skit train of thought, it was a “job-killing” rule from the perspective of the contractor who didn’t get the job (although, on the other hand, that argument could be made as to any QB selection process). Sigh . . . Your name seems awfully familiar. ?